Conspiracy theories are known for connecting apparently unrelated events. 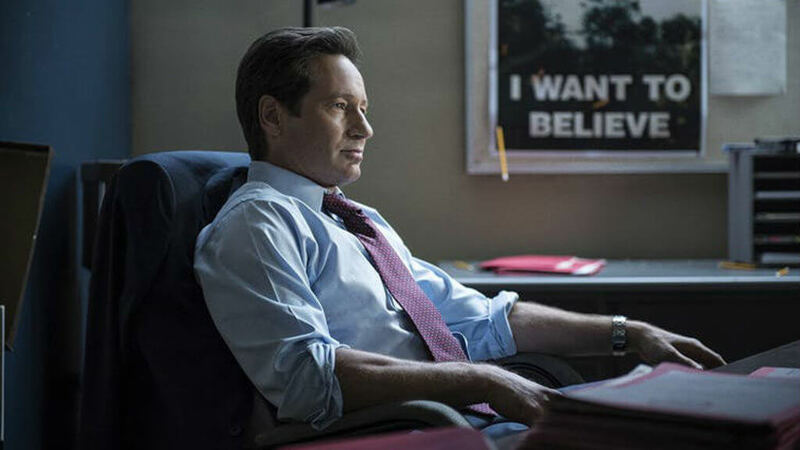 Consider the X-Files’ Fox Mulder holed up in his office, frantically joining seemingly random dots. Or the American radio host Alex Jones connecting leaked Clinton emails and fuzzy rover pictures to conclude that NASA is running a child slave colony on Mars. Cognitive psychologists have often claimed that conspiracy theorists possess a “monological” belief system, in which belief in one conspiracy leads to belief in others. Eventually, they explain every significant event, however unrelated, through the same conspiratorial “logic”. On such a view, conspiracy theorists are fundamentally irrational, perhaps even pathologically so. But is this an oversimplification? So-called “big data” approaches to psychology can give a unique perspective on these questions. By using large datasets gathered from social media websites, one can look at people interacting in everyday settings. Importantly, these approaches can capture everybody, not just the most vocal members of a community. In a recent paper we used online comments to examine individuals who are interested in these types of ideas. We examined a complete set of comments over eight years from the conspiracy forum of reddit.com. Our dataset included 2.2 million comments from roughly 130,000 distinct user names. Our analyses used topic modelling, a type of linguistic analysis that tries to find common themes across a large collection of documents. We were able to identify 12 distinct subgroups of individuals who used language in different ways and who varied widely in their interests and their posting habits. What they talked about strongly suggested that they held different beliefs and attitudes about a range of conspiracies. Eleven of these had consistent enough interests to be readily interpretable. We assigned each of them a name and created aggregate sample comments, as shown in this diagram. We found that there were posters who fit the “monological” pattern (we dubbed them True Believers), writing at length on a wide variety of different topics. However, they were only the tip of the iceberg. Most posters had more specific interests. Indeed, many seemed to be attracted as much to the social aspects of discussing conspiracies as the content of specific conspiracies. The group we called the Meta-redditors, for example, was most notable for their discussion of other forums on Reddit and complaints about moderation policies. Similarly, there were subgroups (the Downtrodden) who appeared to be communicating about conspiracy theories as a way of expressing general frustration with authority. Some were suspicious of US foreign policy (Anti-imperalists). Others may be using conspiracy topics as a way to express racist or otherwise socially unacceptable ideas (Anti-semites). There was even a distinct subgroup who appeared to be posting primarily in order to debunk conspiracy beliefs (Sceptics). This suggests that individuals involved with conspiracy theories may have quite different motivations, beliefs and attitudes. It may not be useful to consider them as a homogeneous group. What does all this mean for the study of conspiracy theories? It’s complicated. On the one hand, it has long been known that online conspiracy theorising can have a variety of negative social effects, from political disengagement to actual violence. These are effects we should aim to mitigate. On the other hand, our study also reveals something more surprising. The vast majority of posters were no more active in the conspiracy forum than they were on other reddit forums. This suggests that, for most individuals, conspiracy theories are not an all-encompassing obsession that overrides other interests, but just one interest among many. Even the most obsessed posters also spend a lot of time discussing Star Wars and trading cute cat photos on other parts of the site. As noted, many members of online forums appear to use conspiracy theories to express legitimate doubts about structures of power, even if the details may appear striking to us. Reddit’s conspiracy forum links on its front page to a “list of confirmed conspiracies”, many of which are historically accurate. In the 1960s, for instance, the US FBI did infiltrate domestic protest groups to disrupt and discredit them. The public health service in Alabama did conduct long-term medical experiments on African American men. Hence, we think that conspiracy theorising may be best understood as a symptom of a breakdown of trust in institutions like government and the media. Rebuilding that trust is, alas, a difficult proposal. However, our work suggests that recognising the varied and complex motivations and attitudes of conspiracy believers is an important step forward.